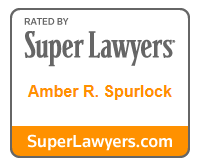 Houston criminal defense lawyer Amber Spurlock is a leading member of the criminal defense department at the Law Offices of Tad Nelson & Associates. Prior to rejoining the law firm she served the people of the United States as a service member in the United States Air Force. When attorney Amber Spurlock was with the United States Air Force she held the rank of Captain where she was charged with prosecuting service members accused of misdemeanor and felony criminal offenses. Her title was Assistant Staff Judge Advocate General, a position commonly referred to as a “JAG Officer”. She also served as a federal prosecutor where her main duties where prosecuting civilians accused of crimes while on the military base(s). 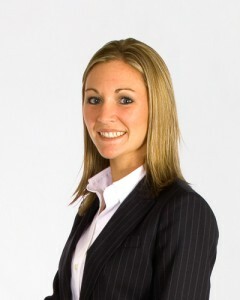 Criminal defense lawyer Amber Spurlock began her legal career shortly after graduating from the South Texas College of Law in Houston, Texas where she received her Juris Doctor in 2007 qualifying her to acquire a license to practice law in the State of Texas. Prior to acquiring here Juris Doctor she began working on her legal career in 1999 when she graduated from Stephen F. Austin University earning her Bachelor of Arts Degree. She also majored in Communications. Afterwards, she continued her education by enrolling at Southwest Texas State University in San Marcos, TX where she completed her Master of Arts Degree back in May of 2002. She also advanced her Communication credentials by majoring in Communications/Marketing. Attorney Amber Spurlock is currently attending the University of Florida online as she works to complete her Master of Science Degree and her major in Forensic Toxicology. Houston defense lawyer Amber Renee Spurlock has also successfully completed the American Chemical Society’s “Hands-On Forensic Chromatography Course” qualifying her as an expert human bio-chemical scientist which has served the best interests of our clients time and time again. Both Amber Spurlock and Tad Nelson hold credentials as scientists. If you’re facing criminal charges for a felony, misdemeanor, or federal crime, contact our law offices immediately.